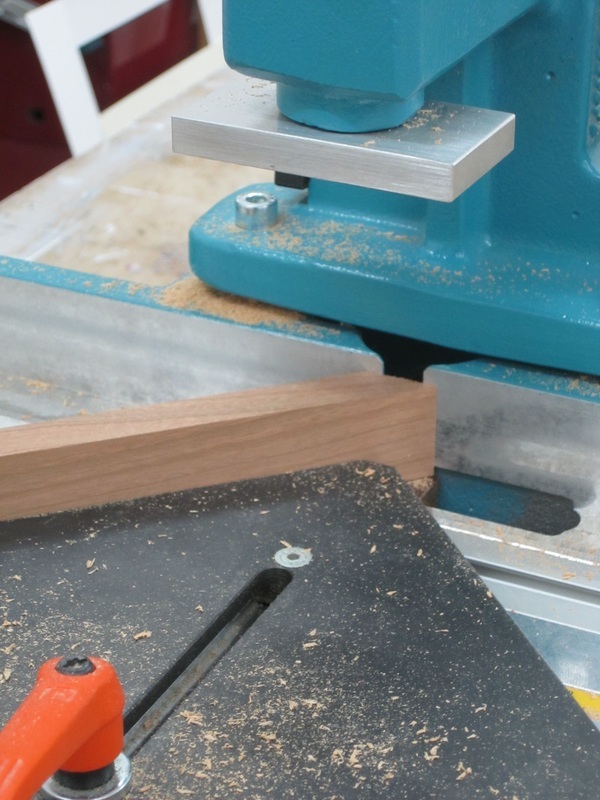 The frames are joined either by means of an underpinner or with small hard plastic dovetail wedges. The photograph above shows the channels for the wedges being cut. In most cases the frames will also be cross pinned (or screws inserted for large frames) which combined with an extremely strong wood glue results in an excellent bond. 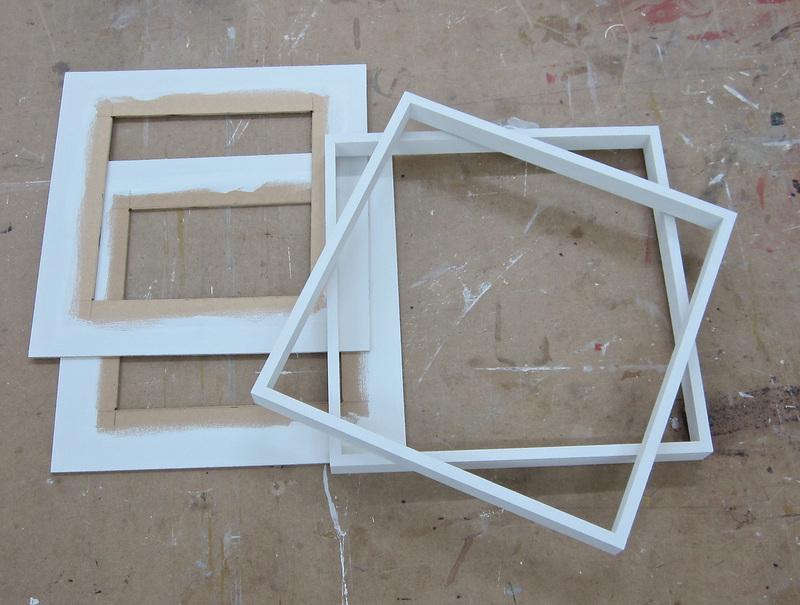 These two Tray Frames have been painted with white 'buttermilk' emulsion as have the window cut 3mm MDF backing. The backs will be glued and pinned into the frames and pilot holes drilled in the backing ready to fit the canvases. 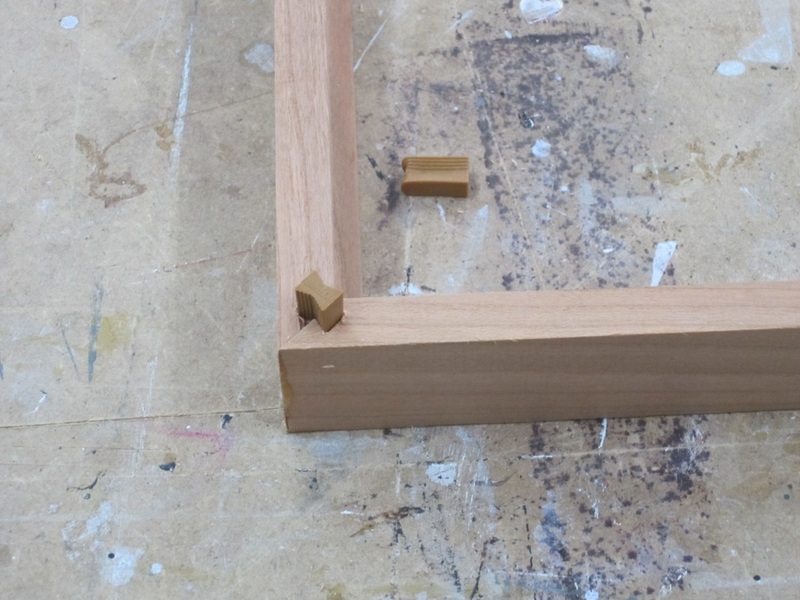 The cut window allows access to the stretcher pegs when the work is in the frame.